There are certain things in this world that God has for you to do; and you are just the right person to do them. 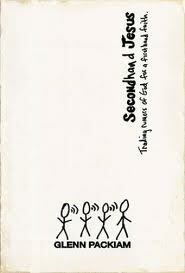 I just finished Paul Alan Clifford‘s book, Tweeting Church. I read it, not because I hope to establish a significant presence in the twit-o-sphere (is that a word? ), but because I am always interested in how technology can engage people — especially regarding Christian faith. Twitter is not about phones. When I first signed up for Twitter, I had everything going to my phone. Wow — how annoying. Even following the re-enactment of the first Apollo Moon Landing was too intrusive for me — and I was at camp! And I love revisiting those Apollo missions. As Clifford wrote about his interaction on Twitter, I realized that lots of it takes place through his computer. When I set up an account with hootsuite, I realized how easy it was to browse tweets on it. Twitter is a great way to get news. Clifford talks about getting information through Twitter. As a result, I subscribe to slashdot’s twitter feed and get tech news now. I loved knowing that Kindle was sold out today before my son (who is into tech more deeply than I could ever be) knew. Twitter is a great way to discover new resources. Because Clifford is into tech in the church, many of his tweets point you to links that are helpful. He’s not the only one doing this, naturally. So following him and some of the people he follows provides ongoing tech education. Twitter is a good way to connect. I needed to follow people on Twitter. Early on, when using Twitter, I was cautious about who to follow. I didn’t want a load of messages flooding my feed. But that’s because I was following the wrong kind of people — namely some friends who had nothing significant to post, i.e. “I just saw a blue bird!” Reading about the kinds of people Clifford follows, I realized that I needed to follow people who would bring value to my life — people who would challenge me to grow spiritually, professionally. and academically. One area I want to grow in is that of photography. So I thought I would follow the guys at Luminous Landscapes, but they haven’t updated their Twitter feed in a while. However, when I followed them, Twitter suggested this guy: https://twitter.com/ClydeButcher . I started following him and saw some pretty neat images. Some “celebrities” are worth following. Being a science fiction fan, Clifford follows @SyFy. I think that’s because he likes the news he gets from Craig Engler and he likes how Engler represents the network. It’s a model worth emulating. I follow Ryan Clark of the Pittsburgh Steelers. I follow him because he is a Steeler who has a great attitude about God, life, his family, people, and … oh yeah, football. Reading this morning that Clark is babysitting seven little girls while the mom’s go shopping made me feel good about the world. Since I enjoy hockey, I also subscribe to the Pens. The main problem for me regarding Twitter is that I live in rural Pennsylvania where people are not “early-adopters”. You might classify us as “late-adopters” until you get to know us, then you realize many of us are “never-adopters.” This applies to changes in everything from worship to facebook. (I can’t tell you how many times I’ve read, “Awk! I’ve been Timelined! OH NO!!!”). We are one of those sociological groups, who by our nature, resist new philosophies, ideas, and technologies. I say “we” because I grew up here, but I have worked hard to overcome this tendency in my own life. Helping others overcome it so they can use Twitter is not a place I will spend much energy. However, there are people — even in my neighborhood — who are using Twitter. So for them, I tweet, both as Curwensville Alliance Church and as ShieldsGroup. I recommend Tweeting Church. It’s well organized and helpful, whether you’re just starting or working to build a following. “Here there be dragons!” the ancient cartographers wrote on the uncharted waters of their maps. Uncharted waters — areas where we’ve not gone before. 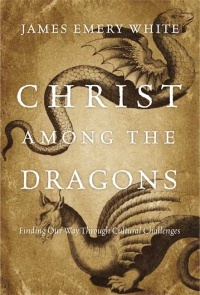 I just finished reading James Emery White’s book, Christ Among the Dragons, a Father’s Day gift from my children. White is becoming one of my favorite authors. I stumbled upon his blog a couple years ago and now follow him on Twitter. 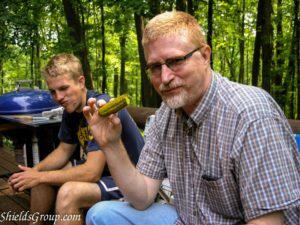 Truthiness — what is truth? What does it mean to be salt? How to engage our world? What does it mean to be Christians Together in a world where Christian bloggers and writers act like they hate one another? What role does The Church play in a society where, even to many believers, she is perceived as irrelevant. My favorite part of the book was where White spoke with clarity about the sin of envy in the hearts of many pastors and bloggers. I believe he was right on. If you’re looking for a good Christian read that will stimulate your thinking, I recommend the book. I left it feeling encouraged about the possibilities that lie in the areas I’ve not yet explored. A review of another White book I’ve read recently is here. I recently discovered that Amazon gives away a number of books every day, delivered straight to your Kindle. Some I’ve been able to pick up include Francis Chan’s The Forgotten God, Crazy Love, and Erasing Hell. These are not reject books. They are good ones. I actually paid money for a couple of them. Getting them from Amazon for free, well, what can I say? I like “free”. Secondhand Jesus was written by Glenn Packiam. He begins by recalling the Thursday he and the rest of the staff at his church learned that their senior pastor, Ted Haggard, had been accused of involvement in drugs and even more as the scandal broke. Packiam moves from this event to discuss our need to have a personal relationship with the God of the Bible, rather than the god of convenience. The book reminds us that God is God and we are not — that He is holy, separate, sovereign, and not there to serve our whims or ensure we have good parking spaces when we go to the mall. Packiam demonstrates this by giving personal accounts of his own spiritual journey and by retelling biblical stories, making them come to life. He reminds us of God’s holiness by spending time discussing the Ark of the Covenant, specifically the folly of thinking you can “use” it for your purposes. As Packiam unfolds this, he gives the best explanation of the death of Uzzah that I’ve ever heard. Perhaps it’s a common explanation, but it never clicked in my head until I read Chapter 9, Carts. This book would be a good read for someone who is beginning to realize the shallowness of some Christian media presentations. It would be challenging to read for someone who feels God lives to make our lives pleasant. It would be a healthy read for anyone who wants to or needs to see God more accurately. ...believes that there are certain things in this world that God has for you to do -- and you're just the right person to do them. Information here carries with it no warranties express or implied.